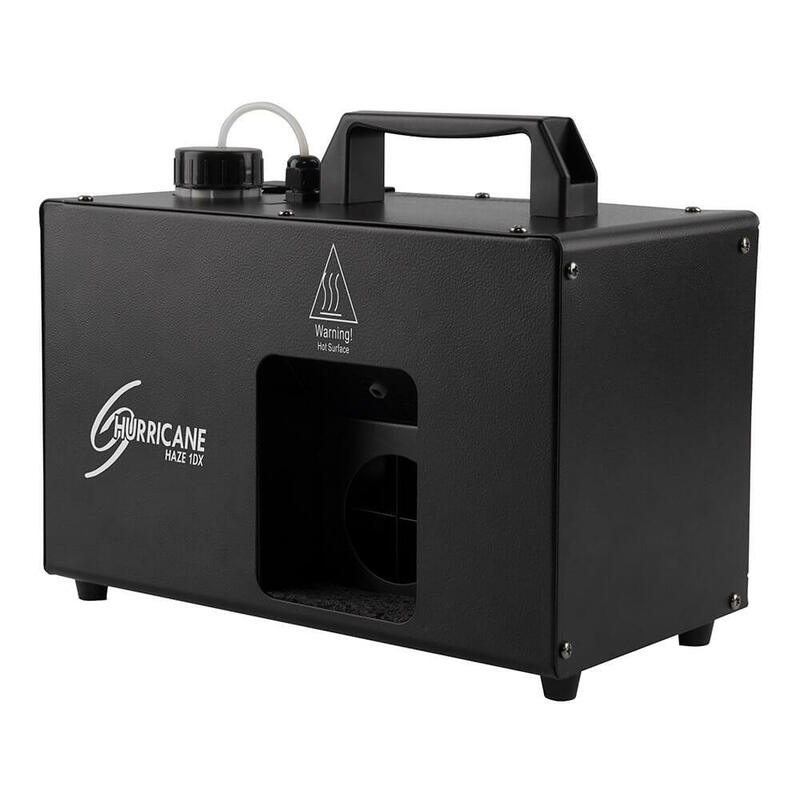 Hurricane Haze 1DX creates a light water-based haze to enhance any light show. 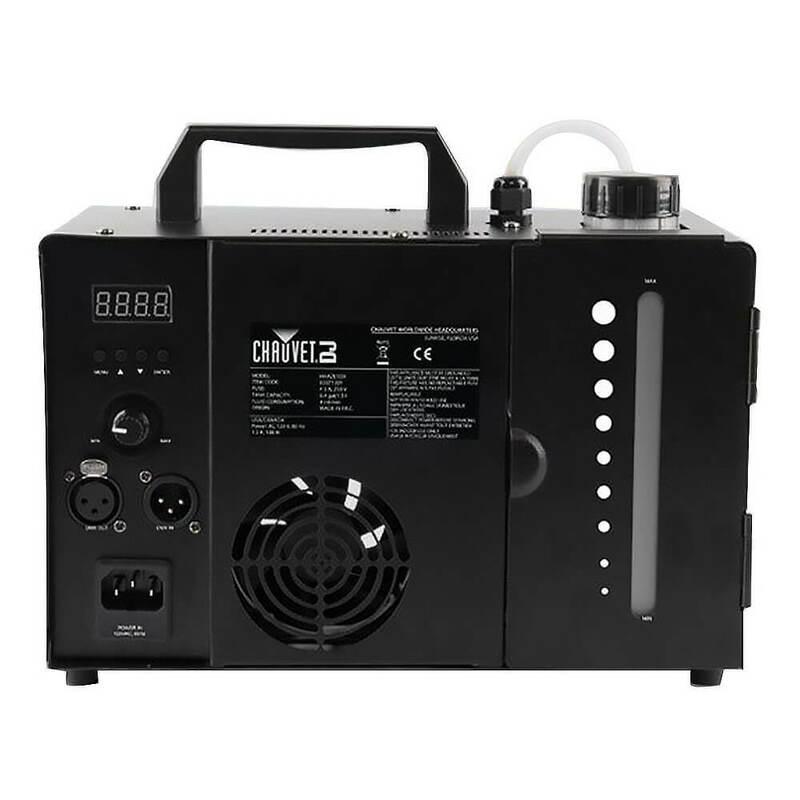 Easily set the DMX address and stand-alone operation using the digital display. 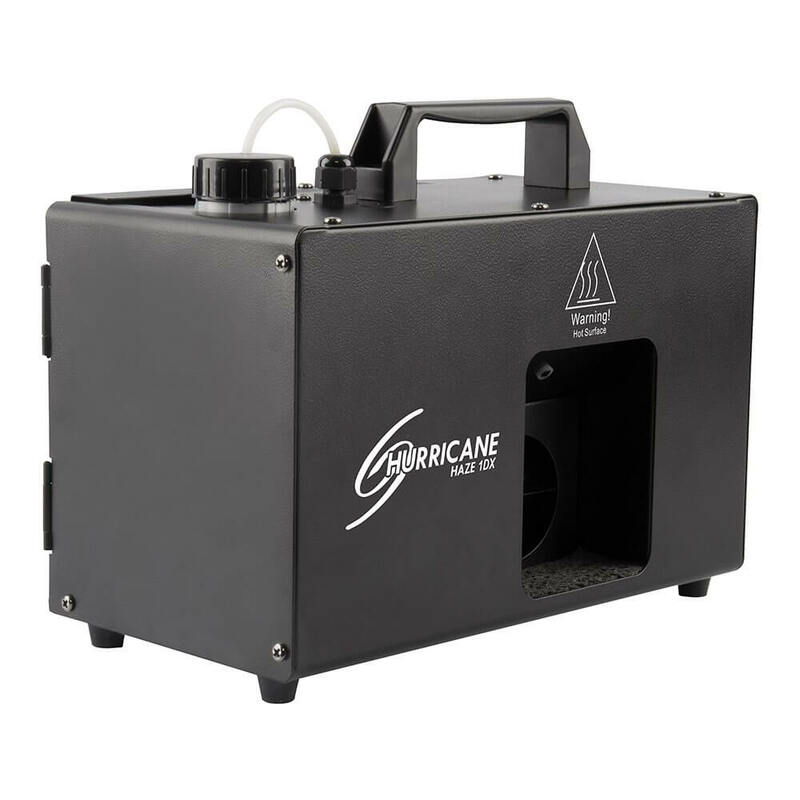 The haze output speed can be adjusted in stand-alone mode using the digital display with no controller required. 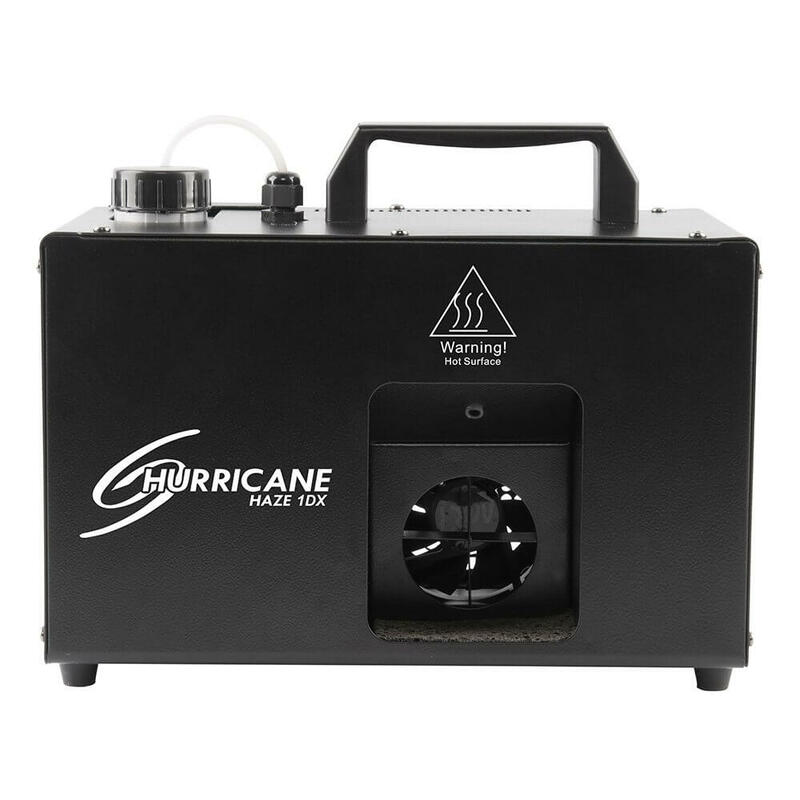 A built-in sensor helps prolong the hazer’s life by stopping the pump automatically when the fluid level is low.